On The Banks Of The Tigris directed by Marsha Emerman (Australia/Israel/Iraq) 2015 celebrates the collaborative nature of music composition and performance and its potential for healing. 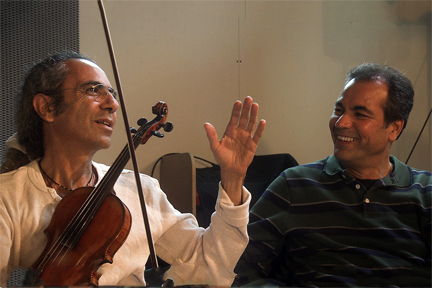 When the narrator of this documentary, an Iraqi exile living in Australia, searches for the origins of the songs he loved during his childhood, he discovers many were written by Jewish composers, the majority of whom were persuaded or forced to move to Israel with the proviso that they never return to their homeland. Majid Shakar not only uncovers the hidden heritage of the music but also searches for those intimately involved with it and brings musicians together to perform a concert in London to an appreciative crowd. The film screens again 14 November 2015 at Harmony Gold in Los Angeles. For more information contact Arab Film Festival. 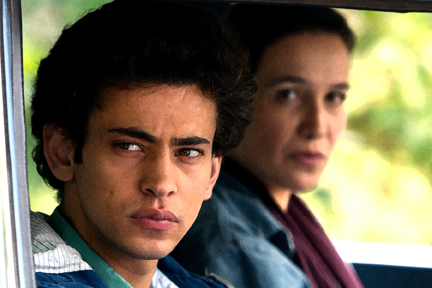 A Borrowed Identity directed by Eran Riklis (Israel/Germany/France) 2014 follows a gifted, young Palestinian who reluctantly leaves his loving family home to attend an elite university in Jerusalem. The relationships he develops help him survive the challenges of a hostile environment and move forward in his life. It screens two more times during San Francisco International Film Festival 58. Tuesday afternoon 28 April 2015 at the Sundance Kabuki Cinemas in San Francisco and Thursday night 30 April 2015 at the Pacific Film Archive Theater in Berkeley. Contact San Francisco Film Society for more information and tickets.